This is often the sweet spot if you are looking to design a website for a small to mid-sized business. The budget levels are adequate for all the major web design tasks. So, you should be able to get a very good graphical design, plenty of features, and all the content added by the web developer for you. 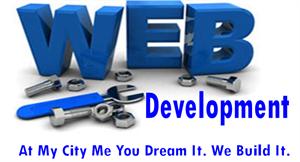 Advance Custom Web Design & Development comes with Web Navigation, Banners, Header, Footer, Web Forms, Web Coding Work, Graphic Design Features, Web Features, Content Management, Store Front Layout Features, Ecommerce, Social Media Design, Visual Communication, 10 different design layout pages, & My City Me Social Design blog.